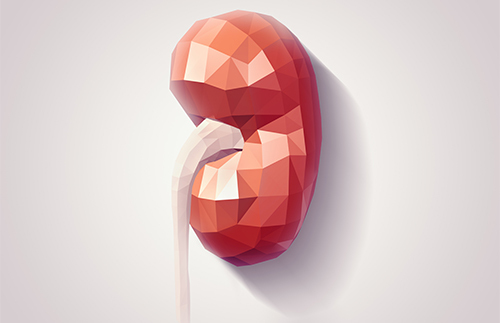 Goldfinch Bio, a developer of precision therapies for kidney disease, said today it will generate genomic data on over 1,500 patients with proteinuric kidney disease through partnerships with both the Icahn School of Medicine at Mount Sinai and Vanderbilt University Medical Center. The collaborations are designed to expand Goldfinch's Patient Registry by integrating genomic analysis and de-identified clinical data from Mount Sinai's BioMe BioBank and Vanderbilt's BioVU BioBank, thus generating additional insights from patients with kidney disease. Goldfinch said the collaborations tie in with its goal of informing new disease targets, pathways, and biomarkers for the discovery and development of novel therapies by building the world's largest genomic registry of patients with kidney disease. The registry is a key component of Goldfinch’s integrated product engine, designed to bring precision medicines to patients with kidney disease by applying breakthroughs in genetics and biology. The registry is designed to collect and integrate genomic and deep phenotypic data, from which the company envisions discovering molecular drivers of kidney disease, focusing on actionable targets for intervention, and developing precision therapies for genetically stratified patient groups. Goldfinch is initially focusing on indications with a known genetic component, including focal segmental glomerulosclerosis (FSGS) and polycystic kidney disease (PKD), two conditions for which no therapies have been approved by the FDA. Beyond these orphan indications, Goldfinch has said, it will also identify and treat relevant subgroups among the broader population of patients with chronic kidney disease by applying a molecular understanding of disease mechanisms. On October 3, Goldfinch launched its foundational patient registry collaboration with The Nephrotic Syndrome Study Network (NEPTUNE). The company plans to generate and analyze genomic and transcriptomic data on more than 1,000 samples from NEPTUNE's well-characterized cohort of patients with proteinuric kidney disorders, then pair the data with clinical records, with the goal of gaining new insights into the genetic underpinnings of kidney disease. Datasets will be made publicly available to the research community via NIH data sharing resources. NEPTUNE is a network of academic centers, patient support organizations (namely the NephCure Foundation and the Halpin Foundation), and clinical research resources, all focused on clinical and translational research on kidney diseases presenting as Nephrotic Syndrome. The collaborations with Mount Sinai and Vanderbilt University Medical Center build upon the NEPTUNE alliance, Goldfinch said, creating a comprehensive, federated database that integrates patient clinical data with molecular characterization at the DNA, RNA, and protein level. Headquartered in Cambridge, MA, Goldfinch was launched in December 2016 with $55 million in Series A financing by Third Rock Ventures. The company derives its name from the goldfinch, which during the Renaissance symbolized healing and renewal in the physical and spiritual sense—the latter, according to ornithologist Herbert Friedmann, Ph.D. (1900-1987) tied to the soul, sacrifice, death, and Resurrection of Jesus Christ. Last month, Goldfinch expanded its leadership team by appointing Maria Beconi, Ph.D. as VP of pharmacology and non-clinical development, and Liron Walsh, M.D. as VP of translational and clinical nephrology.